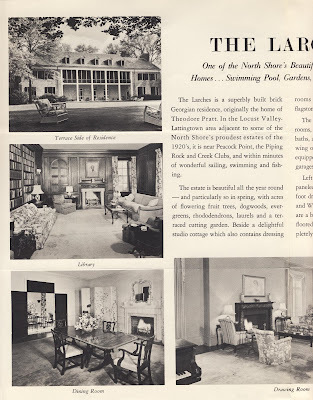 A brochure advertising 'Whispering Pines', the Theodore Pratt Sr. estate designed by Trowbridge & Ackerman c. 1921 in Lattingtown. 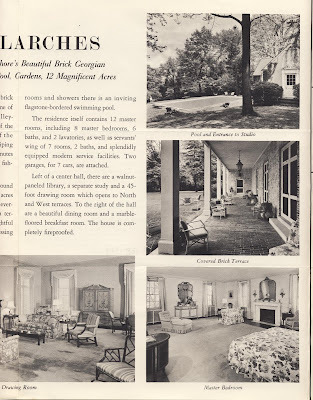 Pratt was the son of Charles Millard Pratt who resided at 'Seamoor'. 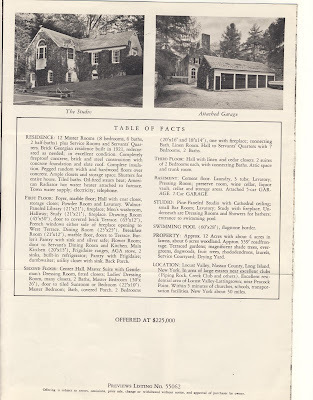 According to his 1977 obituary, Pratt left New York in 1940 for Gloucester, Virginia along with his wife (Pauline Maynard Taylor) to restore a colonial house and estate he called 'Little England'. The two opened a daffodil growing business and donated numerous plants to the National Arboretum in D.C. Click HERE to see 'Whispering Pines' on google earth and HERE on bing. 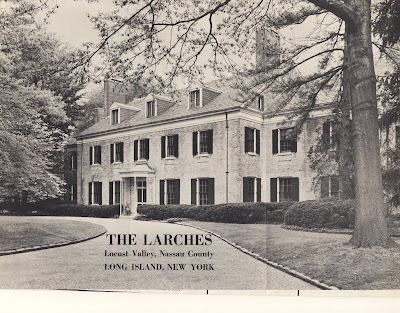 I assume 'The Larches' was a name given to the estate by a later owner. Even though you don't know I am alive. This is a beautiful home and the setting is superb. Theodore's father commissioned Greene & Greene of Pasadena to design his winter home in California. A Craftsman masterpiece on a hill overlooking the Ojai valley. An interest in fine architecture seems to have been a family trait.